During the 2013 year the club logo was slightly modified to show that the club, founded in 1933, is having its 80th anniversary. 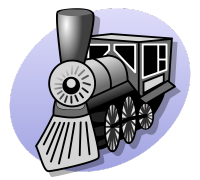 The logo is shown above to the right. Other than Field Day this is the big club event of the year. Good food, Great prizes, and Grand camaraderie were the order of business at the annual holiday party. It was held at The Jägerhaus this year on Friday Dec 13th at 7 PM. After drinks and dinner, President Nicholas - AF6CF introduced the new Board of Directors and Veep Tim - N6GP presented Nicholas with a plaque for his outstanding year as President. Next came the highlight of the night as the drawings commenced. First the ladies prizes were drawn, then the ham prize drwing was conducted. This year's grand prize was an ICOM IC-7200. At the November meeting Dr. Britton - W6FKX, our club geologist, talked on the 1933 Long Beach Earthquake and earthqukes in general. Even though this temblor is named for Long Beach, the epicenter was not too far offshore of northern Orange County. This magnitude 6.4 quake struck on March 11, 1933 at 5:55 PM. 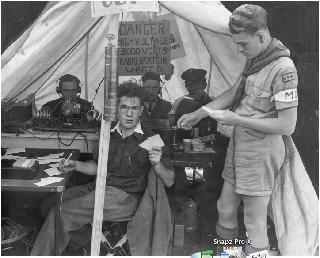 It happened in the same year the OCARC was founded, and also the first year of the ARRL Field Day. History Minute: In recognition of the club's 80th anniversary Tim - N6GP is giving occasional brief Orange County history talks. In November Tim also talked on the 1933 Long Beach earthquake and the part amateur radio played during the disaster. The OCARC held its annual radio and electronics auction for 2013 in October. Many garages got cleaned out and many converted some of their junk into other people's treasures. Many members picked up treasures of their own! Again Chip Margelli did a fine job as auctioneer. Contrary to rumor, bidding was not by CW or Texting! There was also be table for donated equipment. Sales from donated equipment go the club, and many members took advantage of the donation table to help the club. 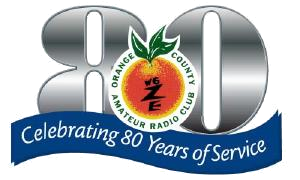 In September the Orange County Amateur Radio Club invited former members to visit us for a club reunion. Some, who couldn't visit personally, sent us an email greeting or arranged to say hello via Skype. Guest History Minute: In recognition of the club's 80th anniversary, Tim - N6GP is giving occasional brief Orange County history talks. In September Tim stepped aside and let Ken - W6HHC present a history minute on Kei Yamachika - W6NGO and his participation in WWII. Kei was a longtime member and supporter of the club who passed away July 12th, 1997. Kei meant so much to the membership that the club voted that the Good of the Club Award be dedicated to remembering him. If you are new to the club and never met Kei, as an old timer and learn about this fine individual. Our own Ken Konechy - W6HHC presented a program on digital-ATV called "DATV-Express Project - a Testing Report". Ken has been working with a world-wide group hams for three years to design and build this open-source product. 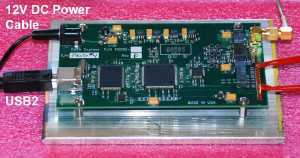 The presentation also provided a demo of prototype hardware board and prototype software operating on 1.2 GHz. Guest History Minute: In recognition of the club's 80th anniversary Tim - N6GP is gives occasional brief Orange County history talks. At the September meeting Tim introduced Arnie, N6HC who provided a short presentation - operating from inside the Olympic Village at amateur station NG84O during the '84 Olympics. Due to unplanned circumstances Bill - K6ACJ had to postpone his program on PICAXE, Arduino and "Raspberry Pie" until a later date. On short notice John Schroeder - N6Q(uack)Q(uack) filled in with a presentation on Ham Radio and YouTube®. John's well edited video showed many entertaining ham events captured on amateur video. We watched thrill seekers base jump from the Radio Arcala tower, plus moon-bounce on 15 meters! And much, much more. Thank you John for filling in with an unusual and very entertaining program. Field Day is one of the club's largest yearly event. This year it was even bigger, in celebration of the club's 80th Anniversary. We will again be operating from the Walter Knott Educational Center in Buena Park. The club ran in the 12A class and made more QSOs than ever before. Results will be published on or Field Day webpage at the appropriate time. At the June meeting, which was be held one week early due to a conflict with Field Day that occurs every time June 1st falls on a Saturday, the final preparations were held. Field Day co-chairmen Dino Darling KX6D and Bob Harrington AA6PW discussed our final plans. Chip Margelli K7JA presented a motivating and humorous slide show look at Field Day. History Minute: In recognition of the club's 80th anniversary Tim - N6GP is giving occasional brief Orange County history talks. In June he looked back at past W6ZE Field Days and how many of the sites we have used for Field Day relate back to WWII. At the May meeting Nick Sava - KD8IPE presented an under the hood, technical look at Radio Controlled (RC) Car Racing. 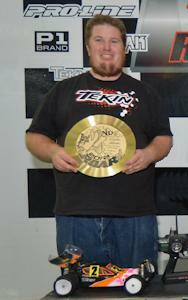 Nick is quite accomplished in the RC Racing circuit, and has won many championships. At the April meeting Walter Clark (no call) presented a modern view of history's earliest understanding of electricity; the electricity of lightning and Leyden jars. Static electricity is associated with sparks, but before that momentary flash of current, the gathered charges create fields. Associated with fields is the flow of ions. Fields and ions surround us but have very little effect. For that reason there are few applications (compared to current electricity and radio.) Few applications means that the subject is not normally taught. Walter was past president of the Fullerton Youth Science Center, Southern California Optic Society, and the Orange County Astronomers. The program was well received by the members. Walt provided many dramatic demonstrations to support his talk. Many members of the Orange County Amateur Radio Club, in conjunction with COAR (City of Orange Amateur Radio) setup and manned communications sites at Ibex Pass, CA; Shoshone, CA; Pahrump, NV; Sandy Valley, NV and Las Vegas, NV to support the Orange Police Dept. in the 29th annual Baker to Vegas relay foot race. The OPD finished 2nd in their division (150 officers or less) and 48th overall (out of 259 teams) with a time of 16:07:08 (hrs:mins:secs). They received a 10 minute penalty due to the need to use an alternate runner on one leg. For more information on the B2V race visit: www.bakervegas.com. 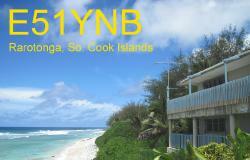 Wayne Overbeck - N6NB, assisted by Carrie - W6TAI, talked on their recent DX adventures to the South Cook Islands (E51, formerly ZK1). Wayne's DX call is E51YNB and Carrie's is E51TAI. These were Wayne's first DX-peditions in his 55 year ham career. The Annual Yuma Hamfest and ARRL Arizona State Convention was held at the Yuma Fairgrounds, just across the California Arizona border south of US 8. For more information see the January 2013 RF or visit www.yumahamfest.org. There's a lot of talk, on the bands, about a new generation of antennas coming out of England. Some of them are fed with flattened loops, some are fed with bent elements, and some have folded dipole driven elements. But they all are reputed to have significantly improved pattern and listening capability. 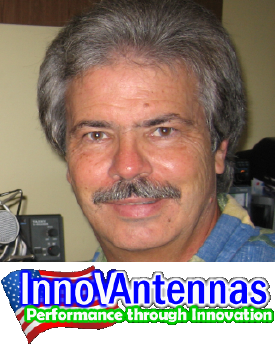 Chip Margelli, K7JA from InnovAntennas U.S. discussed the theory and performance of these new antenna geometries at the OCARC February 15th meeting. For years Chip has been saying "straight elements don't work right!" The club showed a HamRadioNow video presented by Tom Lewis N4TL on explaining the proper grounding for a ham radio station including the demanding aspects that are required to achieve real lightning protection. History Minute: In recognition of the club's 80th anniversary Tim - N6GP is giving occasional brief Orange County history talks. 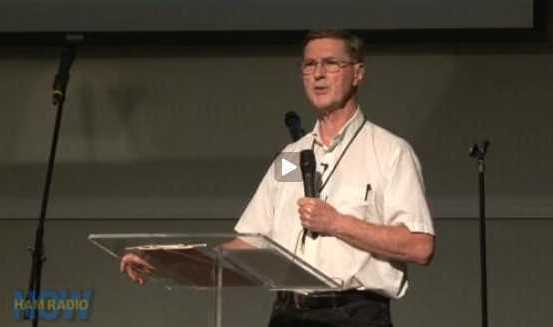 In January Tim discussed the great February 1937 OC flood and the part Amateur radio played during the disaster. Dec 14th**, Nov 9th, Oct 12th, Sep 14th, Aug 10th, Jul 13th, Jun 8th, May 11th, Apr 6th*, Mar 9th, Feb 9th and Jan 12th. * Date changed to the first Saturday due to a conflict with the Baker to Vegas race event. ** The December 14th breakfast was canceled due to the Holiday Party being held the night before. Copyright©2014 The Orange County Amateur Radio Club Inc. All rights reserved.